In June the fishing and crabbing gradually picks up. 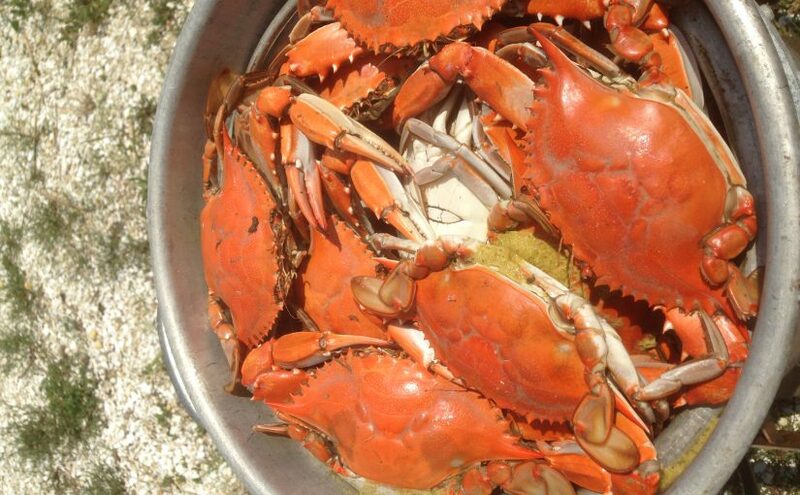 We will be eating eat lots of crabs, oysters and local fish. 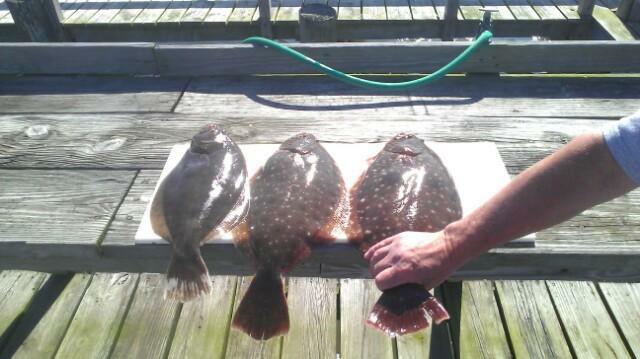 We will see some larger flounders, hopefully a few bluefish runs and plenty of stripers. Most of the stripers are small but there are larger ones in the creek. Perch are always here but it takes some time in the creek or timing of the tide if dock fishing. We will have minnows, grass shrimp, squid, fiddler crabs and shedder crabs and bunker for bait. We can take purchase orders for live crabs at any time. Market price varies but we will confirm on the day of the order. Delivery is also available. Stay tuned for availability of fresh soft shell crabs. This year we will take advance online payment before taking delivery from the crab boats. Our two fishing kayaks are available to members and, in limited circumstances, the marina jon boat is available. The marina is open 7 days a week. Officially we open at 6 AM but sometimes coffee isn’t on until 7. Similarly, we close early if nobody is around. If you are coming early or late in the afternoon, please call ahead. The two sandy beaches (on the cove and at the Gandy’s Beach end of the island) reopen on June 7 after being closed for seasonal migrating bird feeding. We saw more of the South American red knots here this year than last and that was encouraging. Captain Bruce is organizing charter trips throughout the month and a Ladies Fishing Day on Sunday June 10. Somehow I don’t think many will mind if we see more glasses of chardonnay than fish. 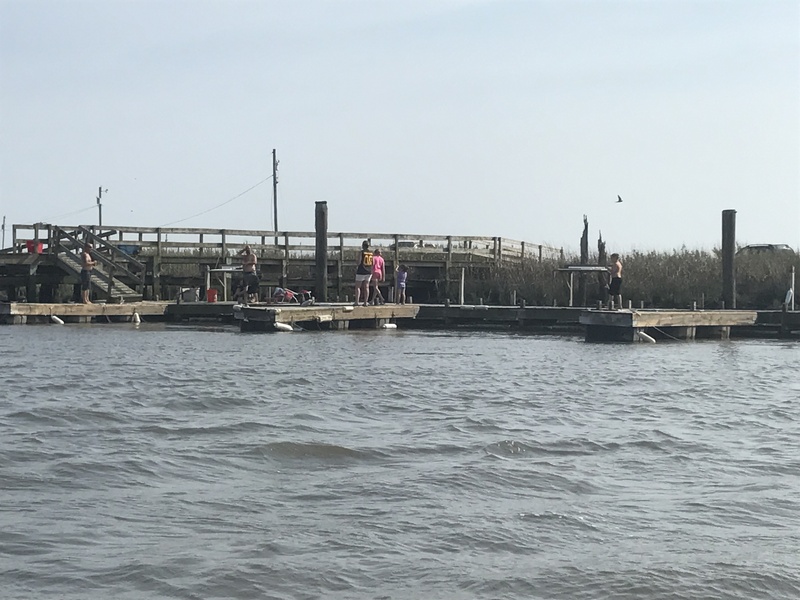 By the middle of the month we will reopen the front transition dock for dock fishing after finishing substantial repairs from winter damage. We still have plenty of new boat slips and dry dock space still available and we will continue to recruit new marina members. Prices are a little bit higher than the pre-season amounts but we have plenty of room to make a great deal for the right boaters. Download this document for complete information. Tony has investors visiting Money Island on several days early in the month and has a meeting with State Senator Van Drew scheduled on June 11. This is important to the future of our community. It is traditional to open our facility to the public on Father’s Day, Sunday June 17, for a free community event. It hasn’t been a big event lately because we don’t market it much. We will offer boat rides, food and loaner equipment. Members of a fantastic group of Philadelphia-based business owners called Powermatch are visiting on Saturday June 23 for a day of fun and seafood barbecue. All marina members are invited to join us. We will celebrate Tony’s birthday on Saturday July 7 with a seafood barbecue party. In recent years that has been the biggest event of the year here because the whole family shows up. Again, all members are invited. MOST IMPORTANT: All events are weather dependent. Some say “June is for the bugs” and we take this seriously. We rely on sunny days with a steady breeze to keep us bug-free. Without these two, it simply isn’t worth being outside in June. When the wind is blowing at more than 4 mph we don’t have a problem. Notice that the locals wear loose fitting long sleeved clothing and long pants. We have bug spray and sun block at the bait shop.